When I first started practicing Zen (or presence), I used to believe I could become completely thoughtless. Making my bed, no-thought. Washing my hands, no-thought. Walking around, no-thought. Imagine the spiritual experience! But it wasn’t like what I thought it would be. The harder I forced myself, the noisier my mind became. I tried so hard, but I just couldn’t do it. In fact, it just made things worse. My thoughts and inner dialogue would run even wilder. I was frustrated and angry with myself. During my first few years of practicing Zen and meditation, I was never at peace. Not even close. But I didn’t give up. As I learned more about spirituality, I finally found the answer. I was too hung up on killing my thoughts. I became obsessed with them, even though they were the very things I was trying to get rid of. As soon I realized that, I finally let go, and now I feel free. Here is what I learned, and how you can do the same. 1. Understand it is impossible to silence your mind. It’s human to have thoughts. It means you have a healthy and functioning brain. We don’t need to get rid our thoughts at all. Why? Just like our eyes see, our ears hear, our nose smells, our tongue tastes, and our body feels, our mind thinks. If you want to get rid of a specific function, you will have to destroy the corresponding organ. The underlying message is simple: No one has a mind without thoughts, unless he or she is dead. When I tried to stop my mind, I was actually doing the impossible. Just as I can’t make my eyes not see and my ears not hear, there is no way I can make my mind not think. A quiet mind is not a mind with no thoughts. Rather, it is a decision you make to embrace every emotion and thought within you. Here’s the irony: When you embrace all your thoughts without judgment, no matter how annoying they are, your mind will calm down. So don’t resist your thoughts. Don’t beat yourself up for thinking too much. If you do, you are giving yourself unnecessary stress and anxiety. Thinking is the core function of your mind, and you are going to hear mental dialogue whether you like it or not. If you try to fight it, you resist what is inevitable. The more you fight your thoughts, the more you amplify them. Being non-judgmental is the key to stillness. Be okay with whatever thoughts you have, and true inner peace will come naturally. 3. Separate analysis from action. I love to hike. When I get to the foot of the mountain, I don’t really think ahead. I focus only on the individual steps that lead me to my destination. With each step I take, in each passing moment, I admire the scenery and I savor the smell of fresh air. It’s a great way to become present. The reason I can do this is because I know where I want to go, how to get there, and the purpose of my hike beforehand. This way, I clear my mind of all analytical thinking—about the past and future—and I can get into the present more easily. Whenever you analyze, you are always thinking into the past and future. This takes you away from the beauty of the present moment. Of course, challenges and unexpected things happen. But as you deal with them with a defined purpose, your thinking stays within the present rather than thinking ahead, worrying, and giving yourself unwanted stress. Separate analytical thinking from action. Plan beforehand. Know exactly what to do before you start. Have a clear purpose and defined steps you would take. 4. Focus on what you are doing. When you meditate, you need a focus. It could be your breath or a mantra. This restrains your mind from wandering. Like the Buddha said, your mind is a dancing monkey. It is always looking for ways to escape from the present. On the other hand, a focus is like an oak tree that grounds you in the present. To stop the monkey from breaking away, you tie a rubber band between the two. Whenever the monkey goes too far, the band snaps him back to the trunk of the tree. How do you do this in your daily life? Unlike meditation, many of our daily tasks are habitual. Things like using the bathroom, taking a shower, eating, and walking are very hard to focus on. This is because your brain automates these tasks to save energy. This isn’t a bad thing, but now that your mind is freed up, it begins to babble non-sense. It starts wandering to the past and future. Mentally remind yourself of your present action. Direct your attention back into your body and out of your head. For example, when taking a shower, observe how water trickles down the surface of your skin. Inhale the fragrance of the soap. Enjoy the warmth. Listen to the sounds of flowing water. Make things more challenging. A classic technique all Zen masters use is to do everything in slow motion. This may sound easy, but it’s not. You will have a hard time doing things the way you want to. As a result, you are forced to act consciously instead of acting on autopilot. 5. Return to focus whenever you wander away from it. Let’s go back to the oak tree-monkey analogy. At the beginning of your practice, your focus may be weak. Instead of an oak tree, it is more like a sprout; a monkey can easily uproot it. But don’t give up. Plant another tree. Bring your awareness back to your focus whenever your mind wanders away from it. Yes, that tree will probably be uprooted too. But each tree you plant will have its roots deeper and its trunk stronger than the time before. Likewise, your focus becomes stronger each time you return to the present moment. In this sense, mental noise is actually a good thing. It is an opportunity for you to become aware and strengthen your presence. More than likely, all this is hard for you right now. All those concepts, techniques, and teachings you learned are complicating things so much that they don’t help you anymore. Worse, they make you even more stressed. If you really want a quiet mind, you have to throw all these concepts away, at least for the time being. Instead, start making everything in your life a practice. Learn not to judge yourself. Learn to be okay with whatever happens, and relax. You may not be able to do this at first, but it will happen. And when it happens, you will feel a click in your brain. On the outside, you will still be you. But on the inside, you will be overflowing with tranquility. This is not because you have silenced your mind. Not because you have banished all your negative thoughts. Not because you have mastered a lot of techniques. It is because you are okay with whatever happens. You are okay with negative thoughts. You are okay with a noisy mind. You are okay with interruptions and distractions. And when you are okay with whatever happens, you don’t hang on to them. In other words, you learn to let things go. Until then? Change the way you see your thoughts, and change the way you deal with them. All it takes is a little commitment and practice. This is your first step. One simple choice. And soon, you will have the inner peace you have always dreamed of. Blon Lee is a Chinese Buddhist who helps people transform suffering into joy with Buddhist wisdom. Download his free guide: Buddhist Meditation Ultimate Guide: A Step-By-Step Guide to Finding True Inner Peace. 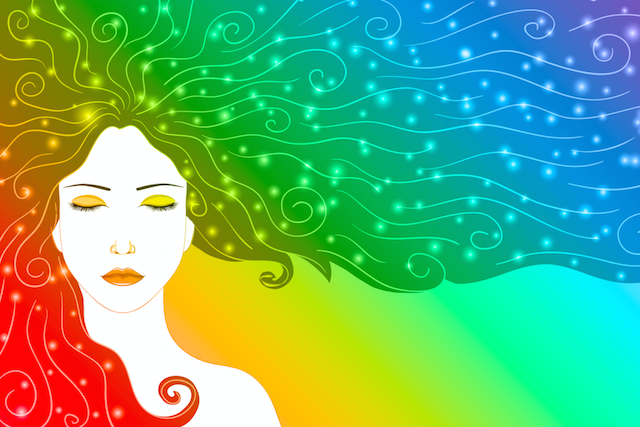 The post How to Be Present and Peaceful When You Can’t Stop Thinking appeared first on Tiny Buddha.